Dextroscoliosis can be just as complicated as the name suggests. An abnormality of the spine, this condition may make daily living difficult for some. Certain people with this disorder show no signs as the spine’s curve is very slight and can only be seen by medical imaging. We will cover the complexity of dextroscoliosis causes and the treatments available. We will also outline exercises used to correct spinal alignment. Dextroscoliosis refers to the curvature of the spine to the right side of the body. “Dextro” is taken from the Latin word dexter, meaning right side. It is a form of scoliosis, which indicates the abnormal curvature of the spine in either direction. 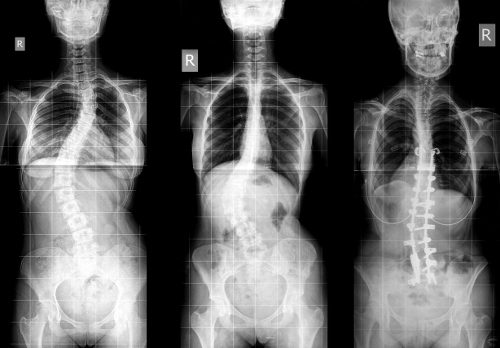 Dextroscoliosis poses serious complications for the kidney, lungs, and other nearby organs. It is thought to be less risky than levoscoliosis, left curvature of the spine that can affect the heart. What Are the Various Forms of Dextroscoliosis? Just as there are different forms of scoliosis, there are also various forms of dextroscoliosis. This refers to right-leaning spine curvature in the middle and upper-back region. This is where the ribcage connects to the spine and becomes affected by the curvature. Curvature to the right in the lower-back region of the spine may be referred to as a lumbar dextroscoliosis or a dextroconvex scoliosis. This form of dextroscoliosis refers to the spine curving at only 10 degrees to the right. The angle may be small in relation to others, but a mild curvature should still be taken seriously. Depending on the stage and severity of the disorder, some cases of dextroscoliosis present no visible symptoms. The curve may first be noticed by a parent or a doctor during a routine examination. Small changes to note would be the hips, waist, or shoulders sitting lower on the right side. Beyond physical checks for the condition, one might also observe a change in the fit of clothing. Breathing may become difficult and chest pain could be present with more severe forms of spine curative. Such cases may also show signs of the ribs protruding as the spine begins to twist. A diagnosis starts with a complete physical examination by a medical professional along with a medical history questioning. A neurological examination would look for any presence of numbness, weak muscles, and abnormal reflexes. Further testing may include X-rays to detect the extent of the curvature and a magnetic resonance imaging (MRI) scan. These tests will also help determine if any of the adjacent organs are affected. A brace may be used in cases where the spine can be manipulated to return to a normal shape and positioning. This is often the treatment after a trauma or injury to the spinal column. Used for the more severe cases of dextroscoliosis, surgical procedures are necessary to repair or prevent any damage to vital organs as a result of the curvature. This is also the treatment for cases that will get progressively worse. Not a cure, but a dextroscoliosis exercise program designed to maintain the mobility of the spine is part of many treatment plans. Dextroscoliosis exercise plans are designed to help alleviate pain and promote constant mobility of the spine. The following outlines dextroscoliosis stretching exercises. While standing or sitting, reach up and stretch your right hand as high as possible as you stretch your left arm down. Hold for five seconds. Repeat 10 times. Maintain shoulders directly over the hips at all times. Assume a kneeling positon with your hands on the floor; be sure your knees are directly under your hips and the hands directly under the shoulders. Lower your head as you lift your back. Hold for two to three seconds before reversing position to raise head up towards the ceiling as your back curves in. Hold for two to three seconds. Repeat 10 times. Standing with feet shoulder-width apart, place your left hand on the hip. Reach over your head with your right arm, stretching as far as possible while keeping the hips and shoulders aligned. Hold for 10 seconds and repeat 10 times. For this floor exercise, lie on your back with knees bent and feet flat on the floor. Tilt your pelvis towards your torso as your back flattens against the floor. Hold for 30 seconds. Repeat 10 times. Sitting on a chair or floor, raise both hands to clasp your fingers above your head. As you exhale, bend slightly to the left and hold the position. Inhale as you return to starting position. Repeat 10 times. Dextroscoliosis may present as a slight, unnoticeable curvature of the spine or a severe abnormality interrupting one’s quality of life. The extent of the curve can have a profound effect on organs such as the lungs and kidneys. Treatment of dextroscoliosis can be surgery for severe cases while more mild cases may require mechanical aids. Exercises are available to help stretch and align the spine. “Dextroscoliosis: Symptoms, Causes, Treatment, Exercises,” ePain Assist; https://www.epainassist.com/bones/dextroscoliosis, last accessed April 6, 2017. “Scoliosis,” Mayo Clinic; http://www.mayoclinic.org/diseases-conditions/scoliosis/home/ovc-20193685, last accessed April 6, 2017. Davis, C., “Scoliosis Facts,” Medicine Net; http://www.medicinenet.com/scoliosis/article.htm, last accessed April 6, 2017. “Scoliosis,” The Free Dictionary; http://medical-dictionary.thefreedictionary.com/Dextroscoliosis, last accessed April 6, 2017.